& Have More Fun Playing Golf? 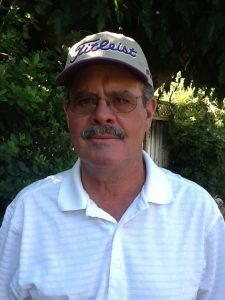 Providing Golf tips and information and online video analysis. Having been a golf instructor since 1972, my teaching philosophy is to help you – the new, or you, the experienced golfer, to swing the club in the way that is most natural to your physique and strengths, rather than making you fit a certain swing type. Whereas it is beneficial to try to emulate the swings of great golfers, it is not possible for everyone to do so. I am an expert at finding the right swing that works for you to enable you to play better and to enjoy the game to the fullest. Golf swing lessons with me will help you to find your own perfect swing. Why choose me for a golf swing lesson? I have grown up in the game. From early childhood I have played, watched and followed it. I have played competitively as an amateur and professionally. I truly believe there are two different worlds that the game is played in. One being that of highly skilled players like those we see on the professional tours. The second is the recreational golfer. 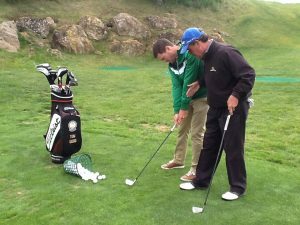 As a golf instructor, I work with recreational golfers of all ages and skill levels, from beginner golf lessons to advanced levels. I have always questioned the tendency of some golf instructors to use the highly skilled players’ examples as the only way, or the models one should use to swing a golf club. What if a person cannot attain that level of skill either physically or mentally? People are all built differently and by comparing their swings to the swings of these highly skilled players, they can become disillusioned and frustrated very easily. One of my strengths is to help students understand this early in the learning process during their golf swing lessons. Also, everyone has a unique sense of feel and each individual will have a different understanding of the motion of the golf club. During the golf lesson, I work with each person’s sense of feel and teach them to feel the motion of the golf club and allow their body to get in sync with it. The very nature of the game creates tension in those trying to learn it, so working on removing that tension is vitally important and one of the first things I work on. So why choose me for your golf swing lessons? I have a unique ability, because I do not teach everyone the same system. I work with each student to examine their abilities and work within their skill level and what they want out of the game. Whether it is helping someone enjoy the game in their retirement years, or a young player desiring to play college level golf or higher. Or perhaps to help the parent, who is looking for golf instruction for a game the child can learn to play for themselves. Also, for some people who, due to certain limitations, this is the only activity that will work for them physically that they can find enjoyment in. 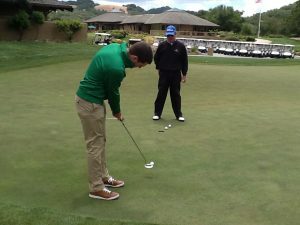 My golf instruction can bring that enjoyment to them, by helping them discover an easier way to play the game of golf. I also help more skilled players which is more specialized teaching. I have the ability to recognize a swing fault quickly, focus on that and not have to completely rebuild the swing. This is a plus since some people are afraid to get help, because of their fear of totally changing what they have been doing. Because of my ability to make the student comfortable in the learning environment, their tension and stress levels are reduced early in the process which leads to easier learning. The more relaxed you become in this game the better you will play. The more confident you are in what you are doing the more relaxed you will be! 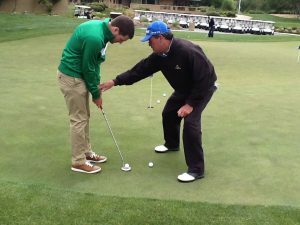 Golf instruction helps students understand why their ball is rolling on the ground, going to right or to the left, or just what causes the ball to do what it does. this helps to reduce the tension level of the student. Golf swing lessons are essential for making the necessary corrections, completing this process. With an understanding of how difficult this game can be for most and being able to guide them through the learning process I am able to help people learn to enjoy the great game of golf! Click to book your Golf Lessons.